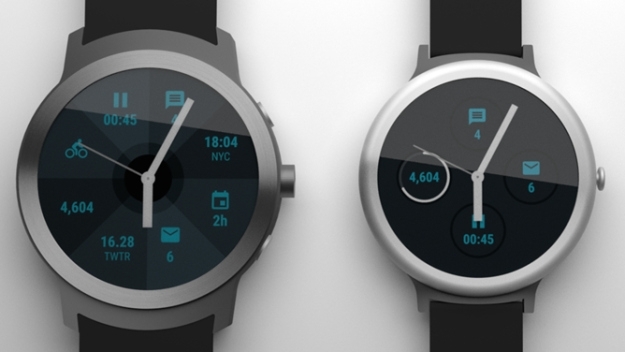 Well-informed Evan Blass said on Twitter that Google hasn’t given up on its smartwatch plans. But the devices, supposed to run Android Wear 2.0, will not be launched this year. Instead, they’ll be launched at some point in the first quarter of 2017. Google unveiled Android Wear 2.0 at Google I/O this year, but it looks like the final version of the wearable Android OS will be launched next year. Android Police, the first site that mentioned Google’s Angelfish and Swordfish watches, says that multiple companies will not release new Android Wear devices this year. It’s unclear whether Google is delaying Android Wear 2.0 because there’s no new hardware for it, or whether it’s the other way around. Google’s rumored watches do not have commercial names yet, and it’s not known whether they’ll be Pixel-branded. Angelfish is the larger model that will offer LTE and GPS support and will work without needing to be tethered to a phone. The Swordfish is the smaller model that will lack LTE and GPS. It’s also supposed to be cheaper than the Angelfish. Apple, meanwhile, is already selling a second-generation Apple Watch in stores, alongside an updated first-gen model. Both devices run Apple’s latest watchOS 3.0 update.